Add a touch of elegance to your custom events with our distinctive columns and arches. 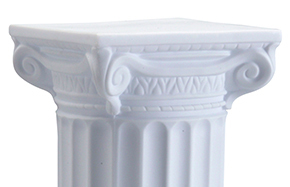 Stopping by our arches and columns category page will present you with many possibilities that are sure to inspire new ideas. We have a little bit of everything so you can find items that range from simple to ornate. Each is made with high quality materials so you can enjoy it for many years. Set them up at anniversary parties or use them to commemorate other important life events. There are also many practical uses for our durable products. Restaurants can enhance the atmosphere of their dining rooms and keep a few on hand for guests to use when hosting important gatherings in party rooms. Photographers can expand their backdrop options and excite customers with three dimensional accents. Venue owners and party planners can enhance the services they offer by including a few of these lovely items on their equipment list. The most difficult aspect of shopping our products is deciding where to start. 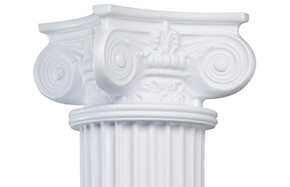 You will find classic columns which favor simpler designs as well as empire columns that include scrolled capitals that are famous in ancient architecture. Our Tuscan models also look stunning with a smooth finish. Couples, individuals and business owners who want something that will stand out should view our “Other Columns” category which features a stunning array of original pieces. 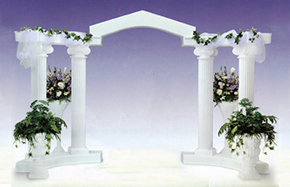 Our wholesale colonnades are also very popular for weddings and special events. While most of our products are constructed with polyethylene, we also carry models made entirely of metal. Each creates a unique appearance that is durable so you can use it over and over again. Don’t forget to stop by our canopies page to find four legged structures with overhead coverings. 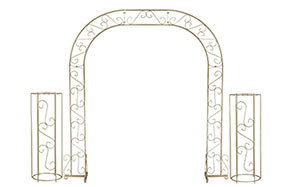 Let us guide you to the perfect wedding arch, columns or Chuppah. Anxious couples want their big day to be memorable, and we can help them make it that and so much more! Our luxurious collection has something for every taste. Whether your ceremony and reception will be modern or traditional in terms of décor, we can guide you to accents that will blend beautifully. Give your guests the experience of a lifetime and create a setting that will look breathtaking each time you page through your wedding photo album in the coming years. Visit our columns and arches categories to create the perfect arrangement for one of the most important celebrations you will ever host! By Creative Fette, Weddings & Events from Williamsburg, VA on March 21, 2011. By Chung from Atlanta, GA on September 27, 2011. By David the floral artist from Baltimore, MD on June 28, 2012. I created a chuppah with the 4 columns and they worked great. Noticed there were inset nuts that would hold a screw also great for an outdoor event as a spike that would be placed in the ground. And even had them on the top for added support for a heavy arrangement. Great improvement from what I have had before. The product was deliver earlier than expected and in great condition. They called prior to delivery to arrange a time and day. Very easy process. By The Flower Girl from Manteno, IL on July 28, 2012. Focal point at entry of venue or to soften a corner area of a room. I place 2 topiaries with the column.